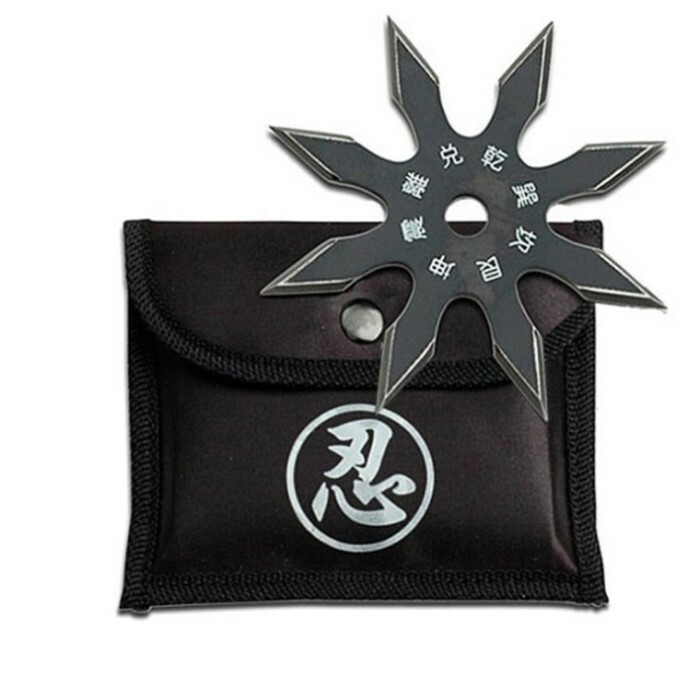 Kung-fu stars offer countless hours of throwing fun and this model is no exception. With 8 sharp points, you're sure to stick your target with this star. This thrower is forged from solid 440 stainless steel and features Japanese characters etched around the center. Includes black nylon pouch with snap and belt loop. Measures 4 1/4 in. across.